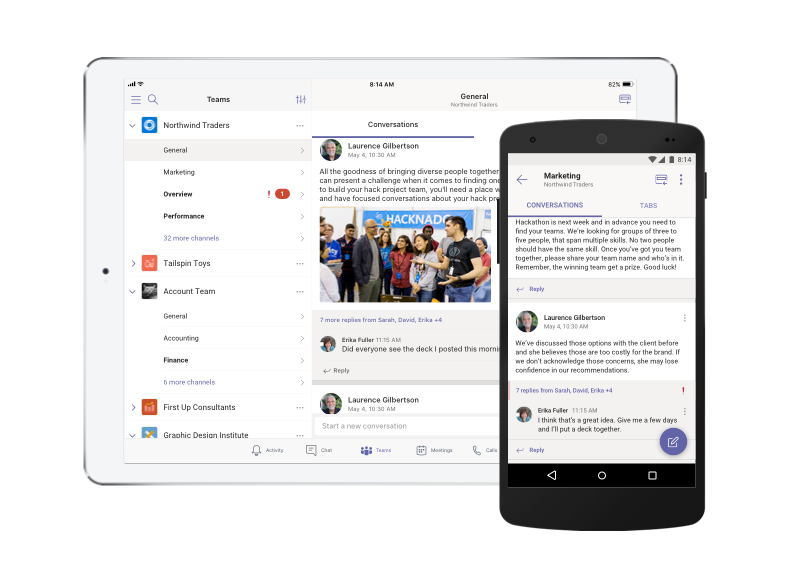 Microsoft Teams is a collaboration app that helps your team stay organized and have conversations—all in one place. Here's a quick look at the left hand side of Teams. Teams - Find channels to belong to or create your own. Inside channels you can hold on-the-spot meetings, have conversations, and share files. Calls - In some cases, if your organization has it set up, you can call anyone from Teams, even if they’re not using Teams. Activity - Catch up on all your unread messages, @mentions, replies, and more. Use the command box at the top to search for specific items or people, take quick actions, and launch apps. Download Teams for your desktop, iOS, or Android. Or just use Teams on the web at https://teams.microsoft.com.